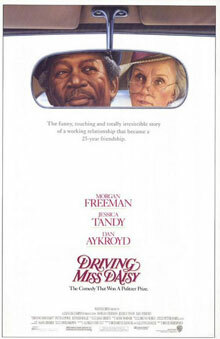 Emory Cinematheque kicks off its “Home Grown: Made in Georgia” film series on Wednesday, Jan. 14, with “Driving Miss Daisy.” The 1989 Oscar winner was filmed in locations including Druid Hills, downtown Decatur, Castleberry Hill, Little Five Points, Griffin and Douglas. The Emory Cinematheque, a weekly series of free film screenings, celebrates the thriving movie business in Georgia with "Home Grown: Made in Georgia," beginning Wednesday, Jan. 14, with Bruce Beresford's 1989 Oscar-winner "Driving Miss Daisy." All screenings take place at 7:30 p.m. on Wednesday evenings in White Hall 208 on the Emory campus. Admission is free and no tickets are required. Most of the films are shown in 35mm or DCP. The movie business is booming in Georgia. The state is now one of the busiest and fastest-growing production centers in the world, hosting everything from edgy indies like the forthcoming "A Walk in the Woods" to blockbusters like 2014's "The Hunger Games: Mockingjay" and scripted TV hits like "The Walking Dead." While the current explosion owes much to an ambitious program of tax incentives and a deep pool of local expertise, the roots of Georgia's homegrown cinema run very deep, according to Eddy Von Mueller, series curator and senior lecturer in film and media studies at Emory. "There have always been strong incentives, creative and economic, drawing filmmakers to the South," he says. "Georgia locations show up in beloved family classics and grindhouse quickies, in low-brow romps and high-minded historical epics." "And zombies," Mueller adds, "you can't do Georgia cinema these days without zombies." According to Mueller, who also serves as the faculty coordinator of Emory College's film and media management concentration program, a number of the films included in the schedule are important to the history of the film and entertainment industry. "The Burt Reynolds' vehicle 'Smokey and the Bandit' epitomizes an important part of American pop culture in the late 1970s and early 1980s — it nearly caught up with 'Star Wars' at the box office," he observes. "And Tyler Perry's 'Diary of a Mad Black Woman' was a the cornerstone in the formation of what has arguably become one of the most significant forces in African American film and television." "Extraordinary movies have been made here, by extraordinary filmmakers," says Mueller, "and it's incredible to have the opportunity to showcase some of them at a Georgia university, and as part of a program dedicated to presenting films as closely as possible to the way they were meant to be seen." Each film in the series will be introduced by Mueller. For more information, visit the Emory Cinematheque website or call Maureen Downs at 404-727-6761.